María del Pilar Hurtado, former director of Colombias Intelligence service, wanted in Colombia possibly fugitive in Costa Rica. COSTA RICA NEWS – The Fuerza Pública (police) and Policía de Migración (immigration police) have launced an intense search in hotels, roads and other sites in the southern zone, near the Panama border, to try to locate, arrest and deport the Colombian fugitive, María del Pilar Hurtado, former director of now-defunct Colombian intelligence agency, the Departamento Administrativo de Seguridad (DAS). The area of Paso Canoas is the focus of the search, authorities beleiving Hurtado may be hiding out in the area, possibly in Cuidad Neily, a small town near the border. The Ministro de Relaciones Extorieres (Costa Rica’s Foreign Minister), Manuel González, confirmed having received communications on Tuesday last from his Colombian counterpart, María Ángela Holguín, notifying the possibility that Hurtado will try to enter Costa Rica, fleeing from Panama after that country refused her asylum. “It doesn’t confirm she is here. What if states is that she may have left Panama, where they (Colombians) had requested extradition, but (the Panamanians) were not able to locate the woman and the geographical proximity of Costa Rica and Panama, it would be possible she will try to enter the country,” said Gonzalez. The Ministro de Seguridad Publica (Minister of Public Security), Celso Gamboa, confirms that Hurtado has not applied for asylum in Costa Rica. According to Gamboa, if Hurtado is in Costa Rica, she is in the country illegally. Costa Rica’s immigration police say they have discreetely visited a number of hotesl in Cuidad Neily following the reports Tuesday of Hurtado’s possible presence in the area. After directing the DAS from 2007 to 2009, Hurtado fled Colombia in early 2010 and later that year was granted political asylum in Panama. The DAS wiretapping scandal unfolded in 2008 after opposition politicians, media and authorities discovered that the DAS, had been spying on the Supreme Court, journalists, human rights defenders and politicians. 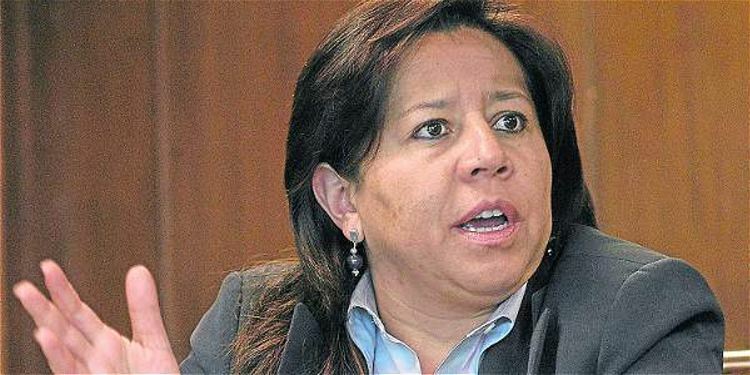 The Supreme Court’s is investigation Hurtado for alleged espionage, embezzlement, misappropriation and falsification of public documents, abuse of public office, unlawful violation of communications and conspiracy. Last May, the Supreme Court of Panama, for unconstitutionality, annulled Hurtado’s political asylum. Her whereabouts in Panama have gone unknown a month after losing her status in that country.